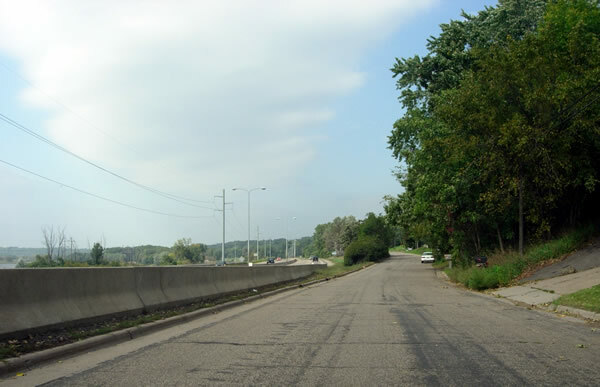 A long stretch of Point Douglas Road between the entrance to Battle Creek Park and a point just north of Springside Drive was once part of the original paved highway between St. Paul and Hastings, first marked as U.S. 61 in 1926. 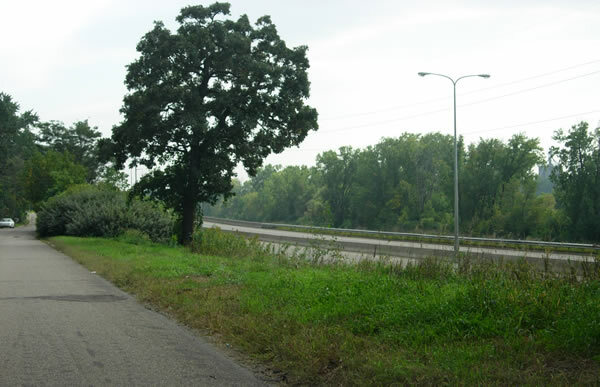 The section north of Lower Afton Road became the main access drive to Battle Creek Park in the mid 1980's when the old direct entrance from the highway was removed. The road was reconstructed and widened to make it better suited for its new role. A short section south of Lower Afton Road was also modernized to provide access to a new park-n-ride facility, constructed on the site of an old roadside park built back in the late 30's/early 40's, now gone. 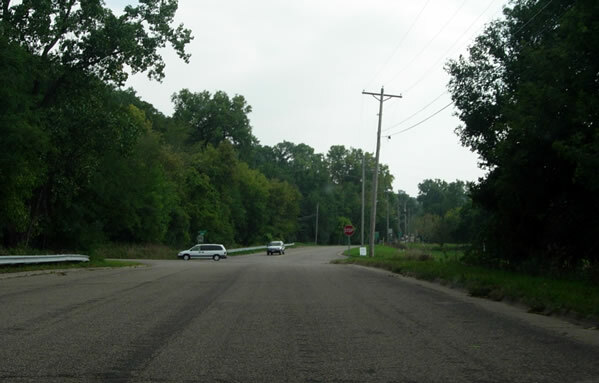 The old road was also extended south to Highwood Avenue in the mid 1980's after the old connections to U.S. 61/U.S. 10 were closed off to improve safety. 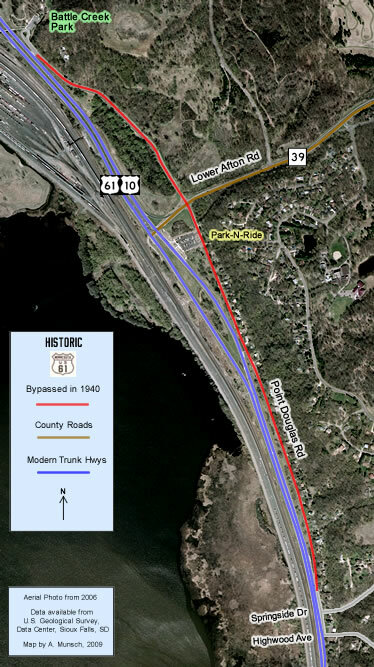 The remainder of the old highway south of the park-n-ride has changed little since 1940. Although the old concrete has been paved over, it appears that the road has not been widened or reconstructed. Now a residential drive, this section of the old highway now provides access to several turn-of-the-century homes. Photo Tour - Photos were taken in September 2006. Looking north on Pt. 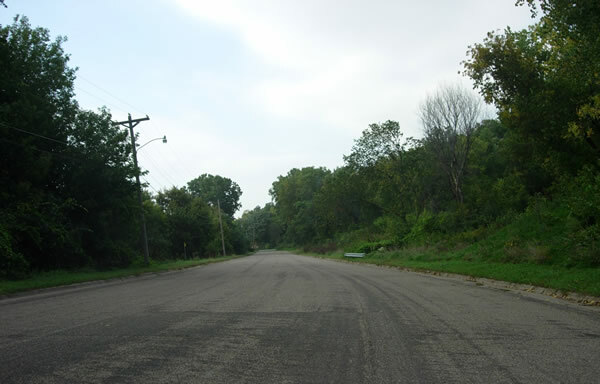 Douglas Road, just north of Lower Afton Road, widened for use as the entrance drive to Battle Creek Park. 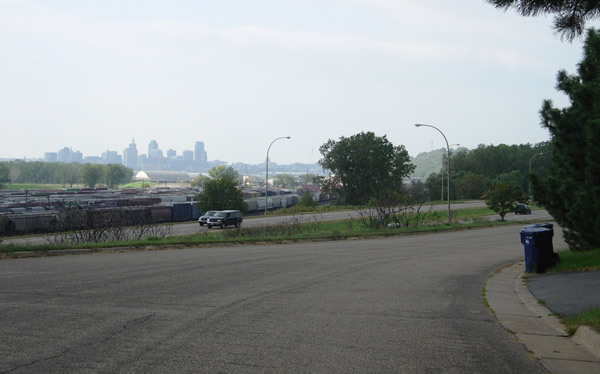 Downtown St. Paul, the rail yards, and modern U.S. 61/U.S. 10 are all visible at the last curve before the park entrance. 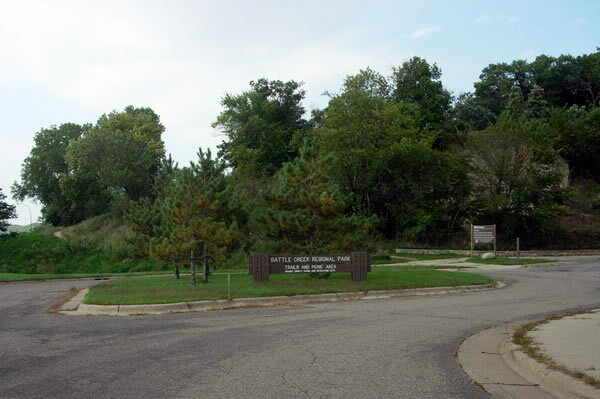 The entrance to Battle Creek Regional Park at the north end of Point Douglas Road. Looking south across the intersection with Lower Afton Road after turning around and heading back south from the park entrance. Looking south on Point Douglas Road from the entrance to the park-n-ride lot, where the road again narrows to its old width. Another view to the south. 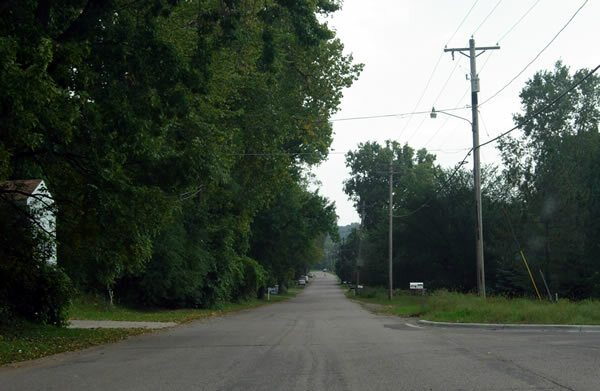 The old highway is now runs through an isolated neighborhood. 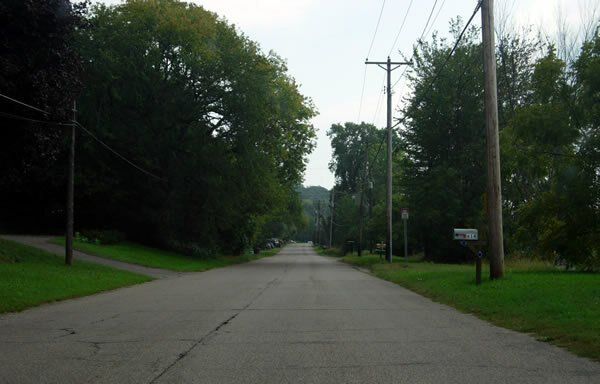 Two eras of U.S. 61, looking southwest. The actual south end of the old highway. 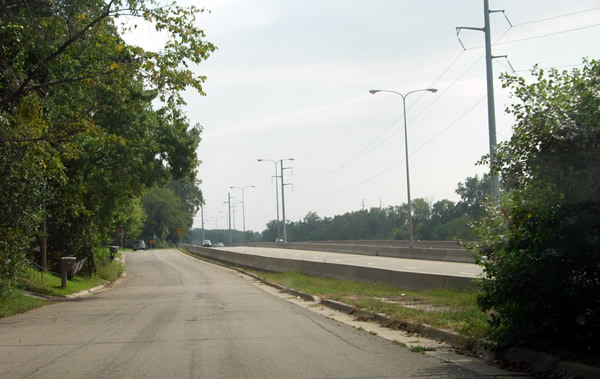 The road ahead was constructed in the mid 1980's to maintain access to Springside Drive and Highwood Avenue. Looking back to the north down Point Douglas Road at the actual southern end of the old alignment.